Make your gift today to help ensure everyone has a place to call home. Your generosity ensures that nearly 500 children have a safe, stable, healthy place to call home. A stable home keeps families together and gives kids the security and stability they need to learn, grow, and develop. Join our Monthly Giving Program to maximize your impact. Thank you for choosing to support Imagine Housing’s mission! Imagine Housing is a 501(C)3 registered nonprofit organization, and your donation is tax deductible to the extent allowed by the IRS. Our Tax ID Number is 94-3110312. Other Recurring Gifts – We also make it easy to give a quarterly or yearly gift! Simply choose “Make a Recurring Gift” on the regular online donation form and select the frequency with which you would like to give. If you prefer to pay over the phone, please call Marsha Bukofzer at 425-576-5190 ext 22. Did you know many employers match donations and volunteer hours served by their employees? Matching donations can help us serve more families by stretching your gift to Imagine Housing. For more information about your company’s matching gift program, please talk to your employer. Fundraise on Facebook – Facebook allows you to easily set up a fundraiser for a nonprofit on your page and invite your friends to take part. 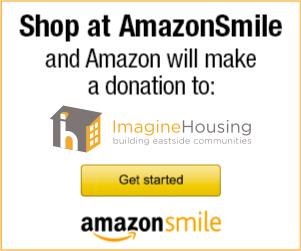 To get started, go to: www.facebook.com/fund/ImagineHousing. Transfer Stock – Transferring stock is a great way to support Imagine Housing! Download our Securities Donation Form and contact your stock broker to begin the transfer process. Legacy Gift – A legacy gift is just one piece of strategic estate planning and establishes your charitable legacy. By including Imagine Housing in your will, trust, insurance, annuities or other estate plans, you leave a legacy that will provide affordable housing for the next generation. In-Kind Donations – From providing a hot meal for a community to donating cleaning and hygiene supplies, your in-kind contributions make a world of difference for residents in times of need. Learn more here. 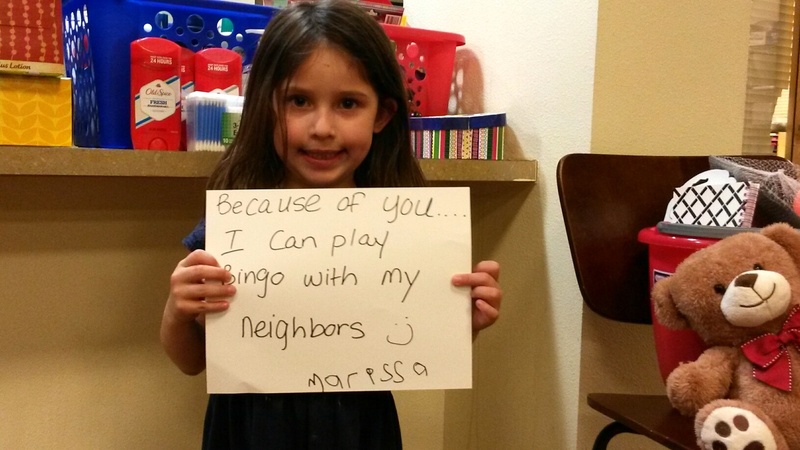 We’d love to talk with you more about how your gifts can make a difference to Imagine Housing. For more information, please contact Marsha Bukofzer, Director of Donor Engagement, at (425) 576-5190 x22.